1. Maximising the amount of renewable heat energy we can obtain from the ground for heating and cooling buildings. I am working on improving design approaches for ground heat exchangers when used as part of a ground source heat pump system. With ground source heat pump systems we can seasonally store excess heat in the ground during warmer periods and then get it back in cooler periods when it is needed. Most of my current work focuses on the use of foundations to buildings as heat exchangers, especially piles. However, I am also interested in other underground structures, such as retaining walls and tunnels and more traditional borehole heat exchangers. I am also working on how we best determine the thermal properties of the ground and of foundations to allow efficient energy design of these systems. 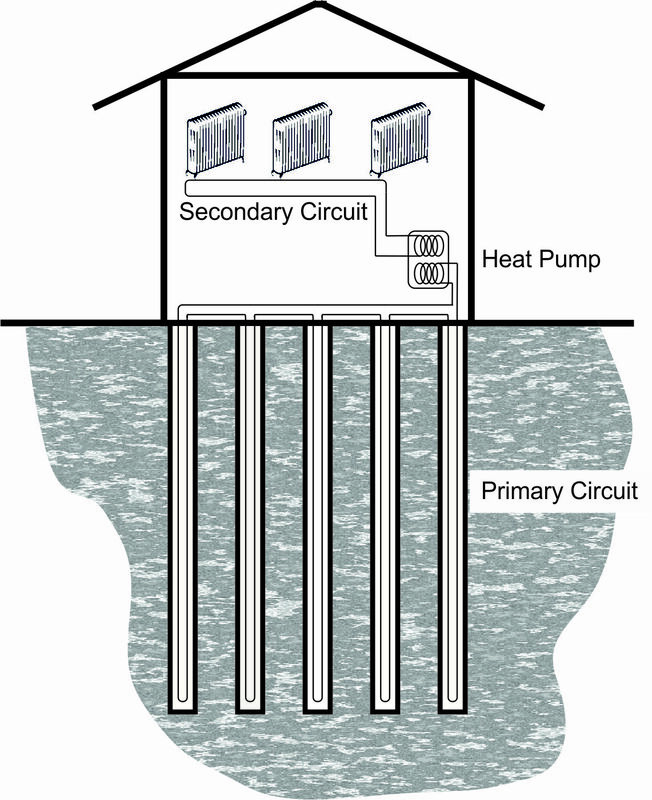 Right: Schematic of a foundation heat exchanger system, with heat transfer pipes installed in the deep foundations to enable seasonal storage of heat in the ground. This work is supported by funding from the Engineering and Physical Sciences Research Council and by the Royal Academy of Engineering. 2. Slope stability and how this may be impacted by climate and climate change. I am currently involved with the iSMART project looking at resilience of our infrastructure cut slopes and embankments, especially with respect to the influences of vegetation, climate and climate change. Previously I have led applied research for Network Rail considering climate and vegetation interactions impacts for their embankments. The UK railway network is in a unique position, with its embankments and cuttings having been constructed long before the advent of soil mechanics. Consequently the dumped clay fill embankments that support much of the track have particular problems, for example a higher permeability than modern clay embankments, making them more susceptible to rainfall induced slope instability. iSMART is funded by the Engineering and Physical Sciences Research Council. More recently I have acted in a consultancy role for a number of energy foundation projects in London. I am module coordinator for the second year course “Soil Mechanics” at the University of Southampton. My teaching responsibilities on this course include groundwater flow and seepage, soil strength and soil behaviour. 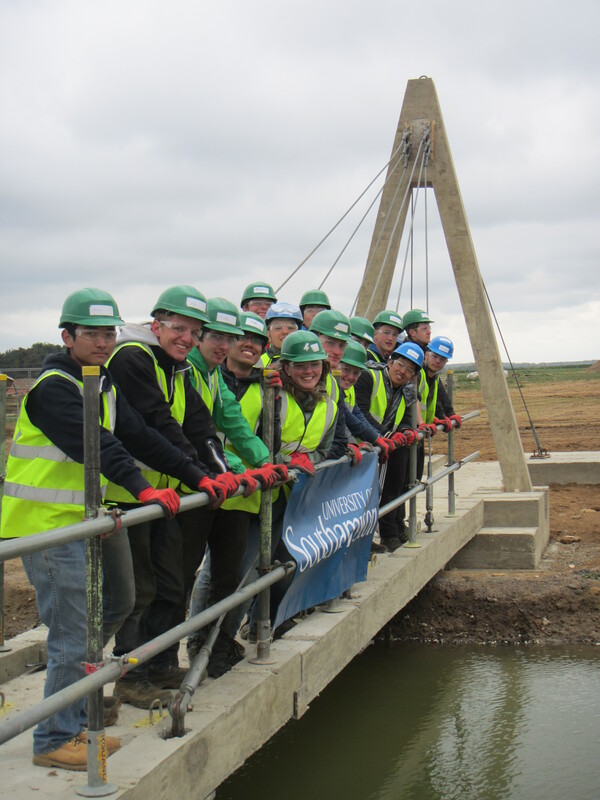 For the last two years I have also attended the Constructionarium where 1st year Southampton undergraduates get to experience the construction process making their own mini-structures (left). I also supervise undergraduate and masters level student projects.